Sanbô Zen was founded in 1954 by the former Soto Zen monk Haku’un Yasutani Roshi (1883-1973) who left the Soto monastic order to found a lay line of Zen. Following the tradition of his master, Harada Sogaku Roshi, he integrated Soto-style practice with the Rinzai method of koan study in his teaching to help students attain what is both the origin and goal of Zen: realization of the true self. In the last decade of his life Yasutani Roshi traveled abroad to the United States and Europe in order to spread the dharma to westerners. Yasutani Roshi’s Dharma successor was Yamada Koun Roshi, a Japanese lay businessman who became the second abbot of Sanbô Zen in 1970. He built San’un Zendo, which remains the main training center of the line, next to the family home in Kamakura, where he and his wife raised their children. Koun Roshi guided many students, Japanese and foreign, until his illness and death in 1989. In his teaching he continued to put an emphasis on the importance of coming to enlightenment, as his master Yasutani Roshi had done. He spoke English and was open to taking students of all cultures and faiths. He felt that the one true way to world understanding and peace was for the various peoples of the world to realize their common ground, the essential nature that is the same in everyone. Koun Roshi taught that zazen was an excellent practice to facilitate this realization, and that all one needed to do it was a human nature. Kubota Jiun Roshi, the third abbot of Sanbô Zen, practiced first under the guidance of Yasutani Roshi and later under Yamada Roshi. He began zazen as a teenager after his brother died at a young age. Like Koun Roshi, he was a lay businessman who married and raised a family. 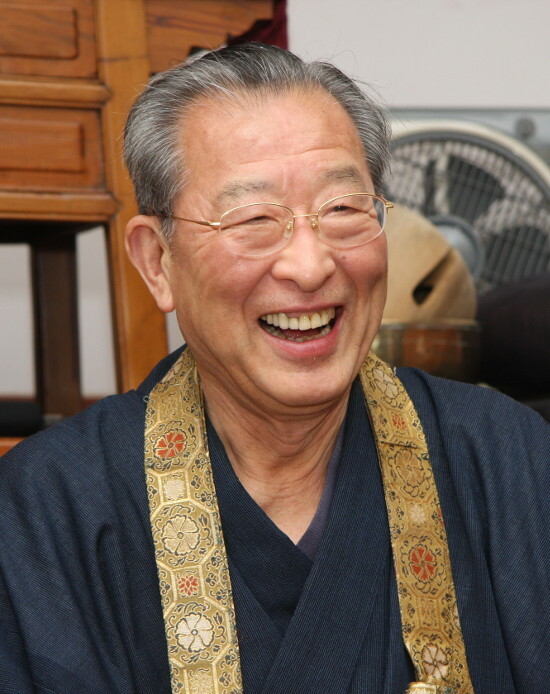 He became Dharma successor of Koun Roshi and served as abbot for 15 years after Koun Roshi’s death, carrying on the line’s emphasis on coming to realization. Today Kubota Roshi is retired from business and continues to teach Zen in Tokyo. The present abbot of Sanbô Zen is Yamada Ryoun Roshi, who works as a businessman along with his duties as head of the Sanbô Zen line. Ryoun Roshi began Zen practice under Yasutani Roshi at the age of 16 when his father, who later became Koun Roshi, was also still a student of Yasutani Roshi. After Yasutani Roshi’s death, Ryoun Roshi continued his Zen training under the guidance of his father. 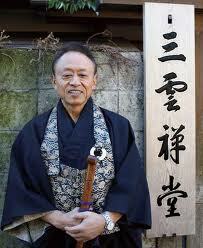 He received Dharma transmission and took on the office of abbot following Kubota Roshi in 2004. Ryoun Roshi holds a sesshin in North America once a year. He also leads the continuous training and guidance of worldwide Sanbo Zen teachers in an annual gathering. Today there are nearly 60 authorized Sanbô Zen teachers guiding students in Zen practice in 15 countries. Sanbokyodan, now known as Sanbo Zen, is unique: It is a Japanese Zen lineage whose primary mission is help lay people (that’s you and me) directly experience kensho (the experience of awakening), and, having seen the reality of our nature, deepen and clarify that experience in the marketplace. Some might call that Abidance with a capital A.